All we can really know about the Buddha and his teachings is what we can read in the earliest Buddhist doctrines – the Nikayas and Agamas. These ancient scriptures tell us that the Buddha’s ultimate goal was the extinction of suffering. He examined existential experience “with all its buzzing confusion of contrasts and tensions”  and he proposed a solution to be developed; the Noble Eightfold Path or Middle Way. Moreover, he adapted his teachings to his intended audience (a technique often referred to as upaya or “expedient means”). Consequently we have lots of early sermons (i.e. suttas or sutras) attributed to the Buddha – not just one sermon or a few sermons that we can cling to as good for every changing circumstance. Buddhism is a religion of two truths and many practices. The history of Buddhism ever since the Buddha’s teachings were first written down (c. 100 BCE) has been one of re-working his teachings to fit the different needs of different people living in different countries at different times. So when a 5th or 6th century teacher like Bodhidharma is quoted as saying that “beholding the mind” includes and makes redundant other meritorious works such as dhamma study and recitation, shrine offerings, protestation and prayer , he may well have had good reason. When Bodhidharma speaks of “Buddha Nature” and “Emptiness”, for example, we can think of him administering a dose of ultimate reality as a conceptual cure to a medieval Chinese audience clinging unwholesomely to conventional doctrines of sentient beings inheriting the good or bad fruits of their good or bad karma. However, that there is no one who strives and nothing to strive for is hardly an appropriate teaching for someone who has yet to find the Middle Way. Which is why, even in the Pali Canon, we find conventional reality teachings and ultimate reality teachings attributed to the Buddha. Conventional Buddhist concepts like karma, rebirth, heaven and hell aren’t reality. As the Zen saying goes – they are the finger pointing at the moon, not the moon itself. There is however an unfortunate tendency within Buddhism to promote “ultimate truth” teachings as superior (reality) and demote “conventional truth” teachings as inferior (delusion). More often than not the ones doing it nowadays are meditators steeped in materialist-consumerist ideologies, who wrongly associate the ancient myths and rituals of Buddhism with “blind faith” and “superstition”. Clinging to a Sutra or a Commentary as the “final word” on Buddhism and clinging to meditation as “the only way” to enlightenment also has the added attraction of appearing to eliminate any need for the hard boring work of living rightly and simply for the sake of virtue, and wider study of ancient texts for the sake of developing right view and right wisdom. Without concepts the world would appear as a meaningless soup of impermanent phenomena and we’d be incapable of doing or realizing anything. The enlightenment trick is to carry concepts lightly and abandon them when they cease to be useful. 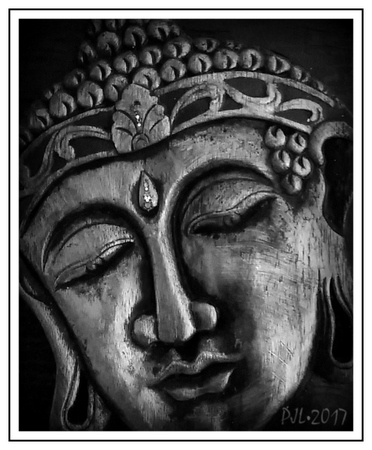 The Buddha didn’t cease to exist on attaining enlightenment – he still referred to himself in the first person and he experienced the physical pains of old age, for example. 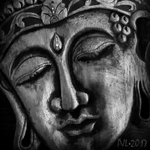 The Buddha still had a conceptual view of life – he just stopped creating unnecessary mental suffering by clinging to it. The Buddha’s teachings are first and foremost about overcoming stress or suffering arising from clinging to the aggregates (body or form, feelings, perceptions, volitions, consciousness). The acid test of whether or not one “gets it” is knowing right now whether or not one’s mental, verbal, or bodily actions are contributing to the absence or presence of suffering and changing direction accordingly. The Buddha never preached a philosophy of “Oneness”. He didn’t teach “No Self” – he taught a “Not-self” strategy that was useful in certain situations. He also helped his students to get on the Middle Way by encouraging them to develop a wholesome sense of self through the practice of morality/ concentration/ wisdom. The “ultimate truths” of emptiness, interdependence and non-duality appear as later pedagogical devices within Buddhism and are intended to help us be at ease with the Buddha’s teaching of the Three Marks – impermanence (anicca), suffering (dukkha), and not-self (anatta). Ultimate truth/reality and conventional truth/reality are two sides of the same Buddhist coin in the same way that relativity and quantum mechanics are two sides of the same science coin. Just as physicists need both sides of the science coin, Buddhists need both sides of the spirituality coin that was initially given by the Buddha (metaphorically speaking, of course, since neither the Buddha nor his monks would have actually handled money!). However, Buddhism is a path of continual enquiry into the nature of suffering; no teacher is ever likely to be accepted by everyone as having said all there is to say about the Four Noble Truths of Dukkha, and practitioners will continue to rework the Buddha’s original teachings so long as the Three Marks continue to characterise our experience of living. “Throughout the sutras the Buddha tells mortals they can achieve enlightenment by performing such meritorious works as building monasteries, casting statues, burning incense, scattering flowers, lighting eternal/amps, practicing all six periods [Morning, noon, afternoon, evening, midnight, and predawn] of the day and night, walking around stupas, observing fasts, and worshipping. But if beholding the mind includes all other practices, then such works as these would appear redundant.” – Bodhidharma. “Kakacupama Sutta: The Parable of the Saw” (MN 21), translated from the Pali by Acharya Buddharakkhita. Access to Insight (BCBS Edition), 10 November 2013. This entry was posted in Buddha & Buddhism, Commentary and tagged buddha, buddhism, conventional reality, dhamma, two truths, ultimate reality. Bookmark the permalink.